Family-friendly meets Quality, Luxury & Performance at family friendly prices. The Verona is the perfect Choice for those who want to bring the whole family. Talk about Capacity for the whole family, the Verona has sleeping for 6 Full Size Adults, 150 Gallons of Freshwater Storage, 100 Gallons of Diesel Fuel. From the large Master Suite for Mom and Dad, Bunk Beds with individual TV’s for the kids, to a fold out bed for the guest. Renegade left nothing out of this Family Oriented Coach. When it comes to luxury you only need to step inside the Verona to see the Luxury and Quality that only comes from a coach that is hand made by true craftsmen. For Performance, Renegade chose the Easy to drive Freightliner M2 chassis. With Cummins Power, an Allison Automatic Transmission and GCWR of 60,000lbs you will have a chassis that will get the job done, day in and day out. ahead to schedule an appointment! 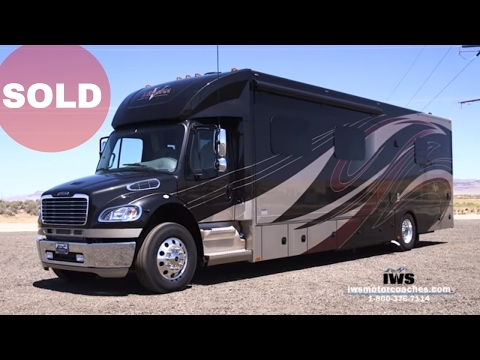 Love what IWS Motor Coaches has to offer? Click HERE for more information about us. Or check out some of the other members of our family: Idaho Wrecker Sales, In the Ditch Towing Products, and Inventive Products Inc. Items marked with ** denote Optional item[s]. Due to changes at factory, some standard features may become optional and some optional features may become standard. Please contact us at IWS for the most complete and current list of options. Air Brakes front and Rear. Note - "Chassis Specs Are Subject to Change Without Notice"
75 Gallon Gray Waste Storage Tank & 75 Gallon Black Waste Storage Tank. 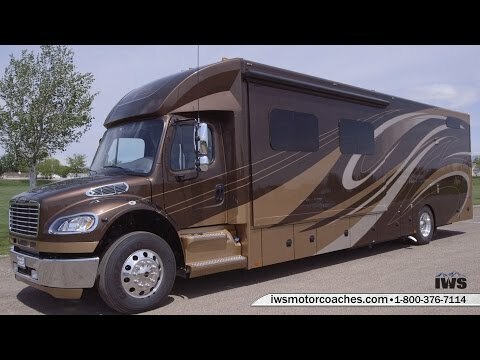 Learn more about the benefits of buying a motor coach with the IWS ADVANTAGE PACKAGE! Here you will find collected all of the videos related to the Renegade Verona Bunkmodel. We offer custom floor plans, so if you don't see one that appeals to you, contact us and we'll design a floor plan to your exact specifications. O.A. HEIGHT (to top of AC) 12' 8"
INTERIOR HEIGHT (Std) 7' 0"
LPG CAPACITY 24.2 GALLONS/80 LBS. Main Content Information Goes here! Black standard interior that makes for a beautiful product. Select the color that best compliments your style. Burgundy standard interior that makes for a beautiful product. Green standard interior that makes for a beautiful product. Gray standard interior that makes for a beautiful product. Navy standard interior that makes for a beautiful product. Tan standard interior that makes for a beautiful product. Upgrade 42" LCD TV form 32"
76"H X 24"W DRAWER UNIT-DOOR AT TOP 1-3", 1-4", 3-6", 1-10", 1-12"
THIS CAN BE MADE TO SUIT YOUR NEEDS. 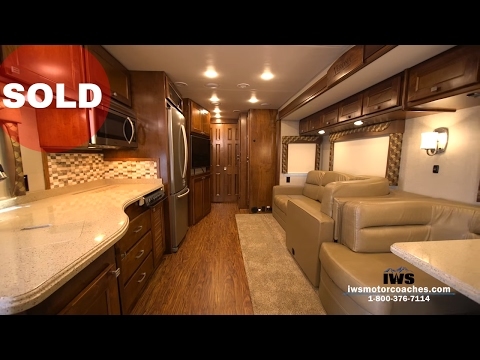 PRICED PER FOOT INCLUDES STANDARD ITEMS IN MOTORHOMES.TALK TO YOUR DEALER FOR MORE INFORMATIONCLICK ON THE LINK TO SEE DECOR POSSIBILITIES. 69"W X 24"D X 76"H CAB. WITH ADJ. SHELVES & (1) DRAWER UNIT WITH (7) DRAWERS - 1-3", 1-4", 3-6", 1-10", 1-12"